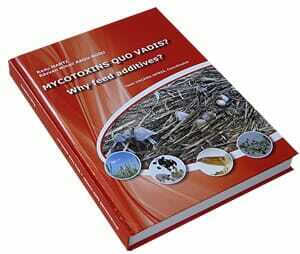 Following the recent publication of 'Mycotoxins Quo Vadis? Why Feed Additives? ', first author, Dr Radu Marti, tells ThePigSite why he wrote the book and how it can help animal feed and health professionals. Mycotoxins Quo Vadis? Why Feed Additives? is a new book by Dr Radu Marti (Biomin GmbH, Austria) and Dr Razvan Mihail Radu-Rusu (Assistant Professor at the University of Agricultural Sciences and Veterinary Medicine, Iasi, Romania). Dedicated to Erich Erber, founder and manager of Biomin and published by Erber AG, the book was coordinated by Professor Ioan Vacaru-Opris, Honorary Member of the Academy of Agricultural and Forestry Sciences in Romania and Member of the European Chamber of Experts. Describing the target audience for the book, Dr Marti said that the authors address the large and medium farms based on intensive system, where the performance obtained in animal rearing has reached high levels, especially due to controlled-environment conditions. The book can become an instrument for fighting against the negative effects of mycotoxins, due to the fact that the book presents symptoms and effects, as well as modes of action in eliminating or reducing the mycotoxins effects. "Since the book’s recent launch on the market, the request was high on the didactical level; a lot of students have requested the book for studies. The truth is that so far in Romania, there hasn’t been published yet a book that takes care of mycotoxins and their effects upon animal rearing. "So with this book we have proven that we are really able to manage this ever present risk of mycotoxins, today, for the benefit of health and economics," Dr Marti added. He explained that he has been working in this economical sector since 1991, when, after the fall of the communist regime, he became an employee of the newly created Agricultural Directorate of Sibiu. Directly involved in the production and distribution of premixes, concentrates or final feed, in 1998, Dr Marti started work as the Commercial Manager at the subsidiary of a Dutch company, created in Romania by himself and a colleague. At that time, he worked mostly as a Sales Manager, learning the "ABC" of nutrition over the following four and a half years. "Since then I had the pleasure to meet a lot of people involved in the Romanian zootechnical (animal husbandry) sector, farmers and producers as well as professors and specialists," he explained. "One of them was the Dean of the Zootechnical Faculty from the University of Agricultural Science and Veterinary Medicine ”Ion Ionescu de la Brad” from Iasi, Prof. Dr. Eng. Ioan Vacaru-Opris, and member of the Romanian Academy. "With time, he became my mentor, being my coordinating professor during the four years I have studied at the University in Iasi from which I graduated in 2011, preparing and sustaining my Doctorate Thesis in the zootechnical sector with the title, 'Contributions to the knowledge of the productive effect of using some inactivation and detoxification additives of mycotoxins from fodders for broiler chickens'. "In 2003, I started from zero again, with an Austrian company - this time much bigger, worldwide organised, continuously evolving, being as we speak, one of the largest companies that produces and distributes feed additives. "Since day one, I have been working as General Manager and here we are, after 10 years of activity – celebrated this year on 1 June - saying that this company has reached its maturity on the Romanian market, becoming one of the first two big “players” of the feed additives and specialized premixes market in Romania," said Dr Marti. Explaining why he decided to publish this book now, Dr Marti said: "For 10 years at the Biomin Company, I have promoted the company’s top product, Mycofix® and also for 10 years, I have conducted a lot of experiments and analysis on the mode of action of the Mycofix product (as mycotoxin deactivator) on broiler, layer and breeder farms, as well as in the swine farms, starting with the reproduction phase and up until the fattening phase. "The extraordinary results obtained from the product’s analysis, along with the studies conducted at the company’s headquarters in Austria, have determined me to go further," he continued. Dr Marti ws helped by the fact that lately, the mycotoxins pressure on the animal farms has increased, as has the diversity of mycotoxins “responsible/guilty” for the drop of the conversion index (FCR) as well as the rise in mortality. A key factor was also the “migration” of raw materials, e.g. soybean meal, from South America and other exotic countries to Romania. HPLC and ELISA tests performed on both raw materials and final feed have shown rising values for different fungi metabolites analysed. So mycotoxins such as DON, OCHRA, ZEA and AFLA have been found at medium and high levels in many raw materials analysed. "This fact also helped us in the Mycofix promotion," Dr Marti explained. "Our latest, innovative products fixing, deactivating and eliminating the mycotoxins, starting with the beneficial action on the digestive tract, have made the difference and disproved from the market - not only in Romania - the commercial and less scientific products such as aflatoxins binders, less efficient especially in geographical areas typical for our country, having a temperate – continental climate, with an annual average temperature of below 28°C. "The development of fungi can have a huge economical impact on animal performance"
"The negative cumulative effect - the way the mycotoxins act at the fungi level as well as affecting the internal organs such as liver, kidneys and intestines - was decisive in our battle to discard this invisible enemy, or at least to diminish its impact upon the performances obtained in the Romanian farms throughout the fact that our zootechny is going through a delicate period in terms of production cost/meat, egg price ratio," Dr Marti said. So he considered it appropriate to present a specialised book, focusing on the danger of fungal development in cereal crops as well as in storage, which result in physical and nutritional losses and determine the occurrence of mycotoxins that can be extremely toxic for both humans and animals. The development of fungi can have a huge economical impact on animal performance, he stressed. Dr Marti concluded: "I want to show in this book that keeping under control the development of moulds is essential to maintain the nutritional value of cereals and avoiding the feed from being contaminated with mycotoxins. "So, for preventing animal intoxication, the mycotoxins should be inactivated in some way and the best way was found by Biomin, having the most successful product used in counteracting the negative effects resulted from the interaction of mycotoxins – immune system – production – food safety. "We need this kind of product - feed additives - now, as the book is also a necessity now!" added Dr Marti. To find out more about Mycotoxins Quo Vadis? 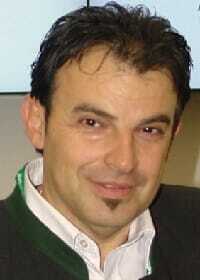 Why Feed Additives?, co-written by Dr Marti, click here.